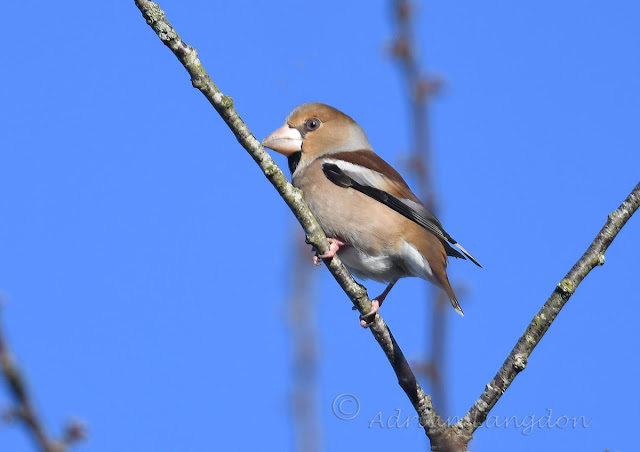 Hawfinches and others at Egloshayle. 6th & 7th Jan 2018. There's been up to 6 Hawfinches around the cemetery at Egloshayle for a week or so now and as it's just a stonesthrow from my house I've milked it a bit! 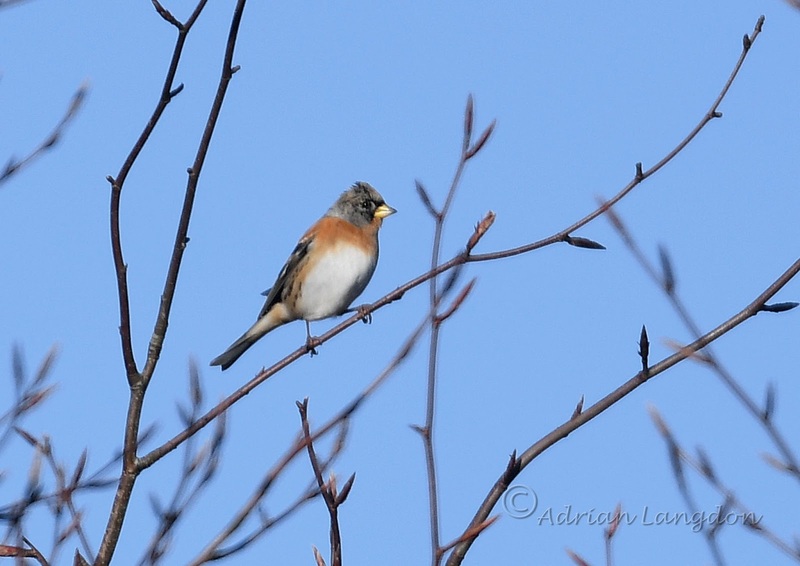 Super birds and of course as you spend time watching them you become aware of lots of other birds and today I had a Brambling on the top of a distant tree. 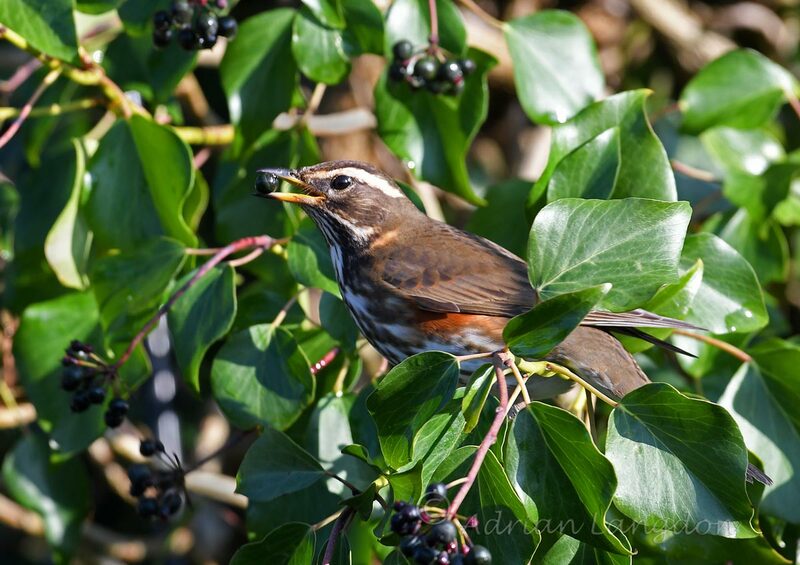 Also Redwings are starting to eat the Ivy berries after a couple of frosts have softened them up a bit. 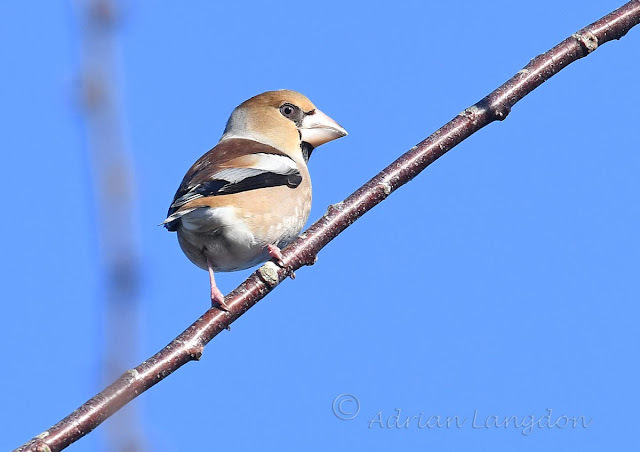 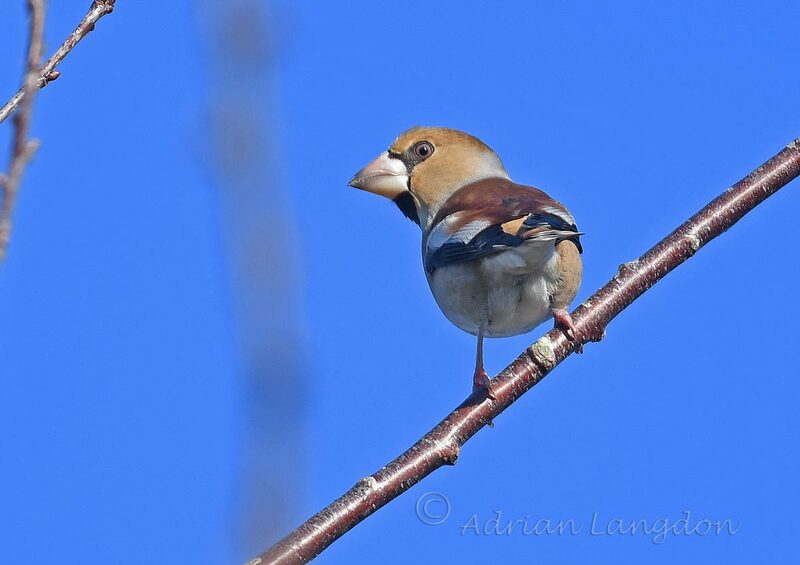 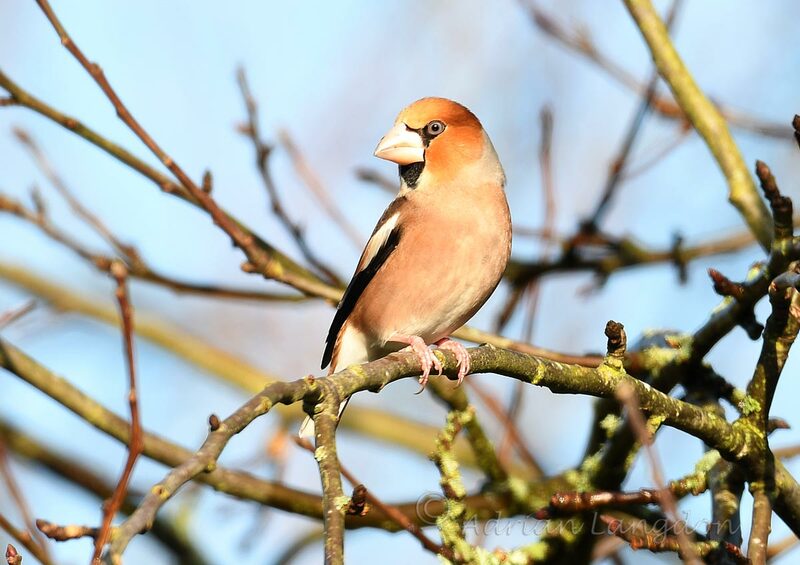 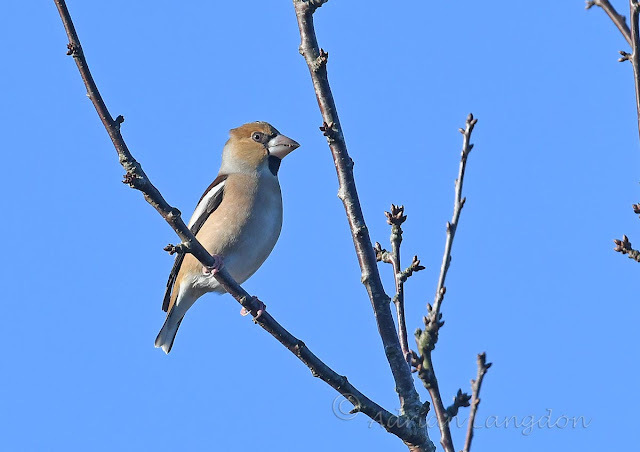 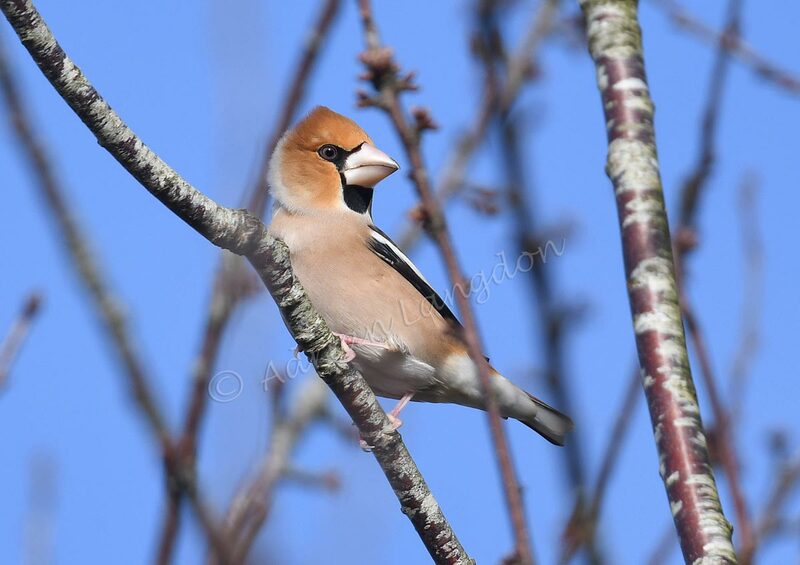 Well I got lucky today and got a couple of shots of the Hawfinches that have been just down the road from our house in the old part of the Egloshayle cemetery. 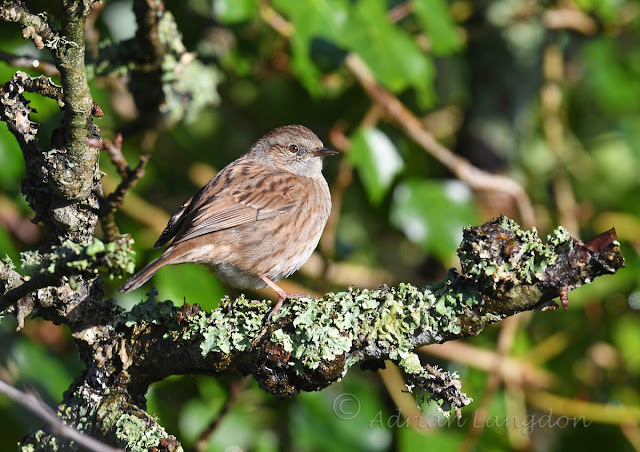 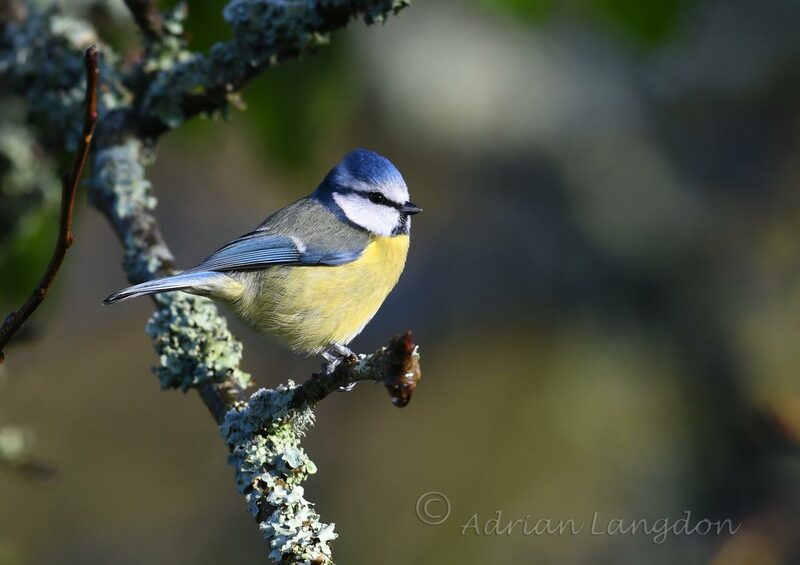 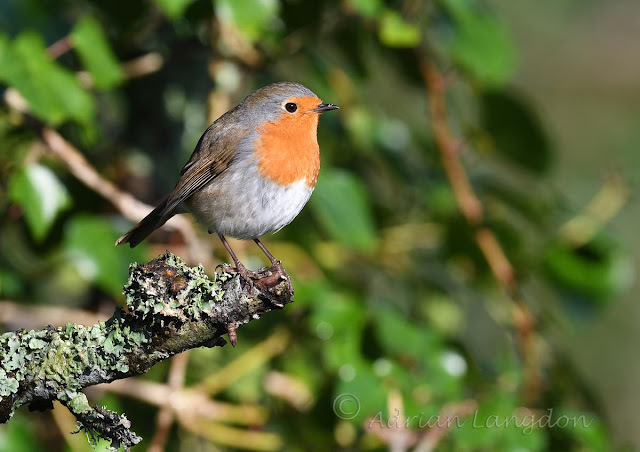 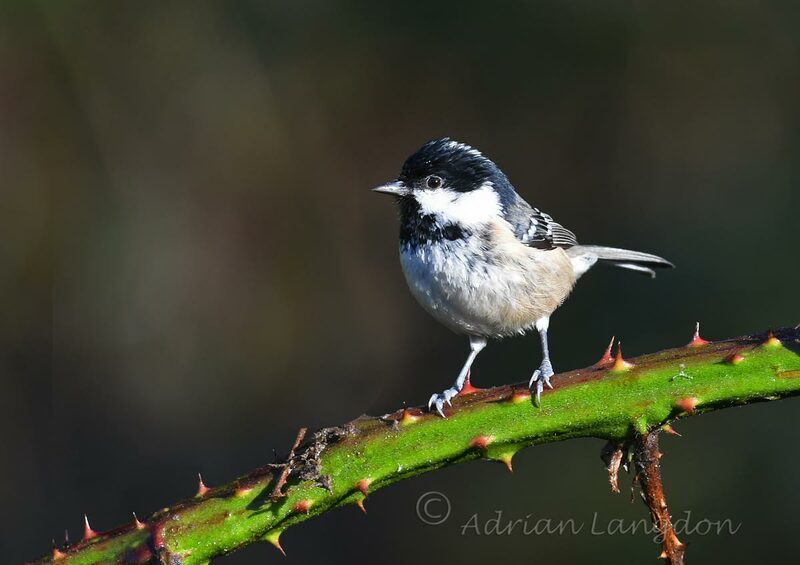 After a few days of getting pics of branches & out of focus birds all taken in awful light it was a joy when one landed on the "my" side of the tree in bright sunlight with a blue sky background. 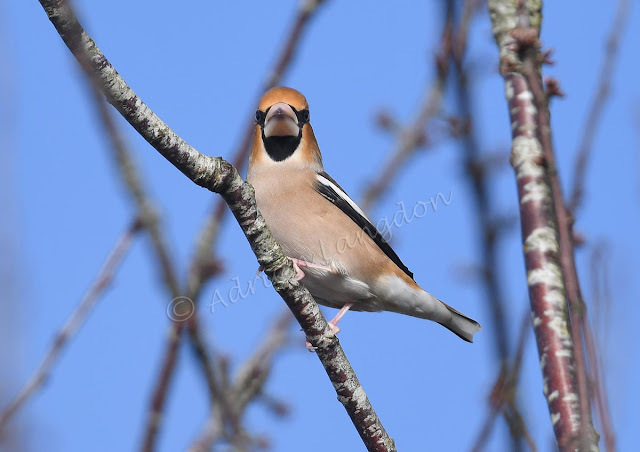 I was even more surprised that it was in focus as there was still a gale blowing after Storm Eleanor passed through last night.